Join the forefront of climate change research. 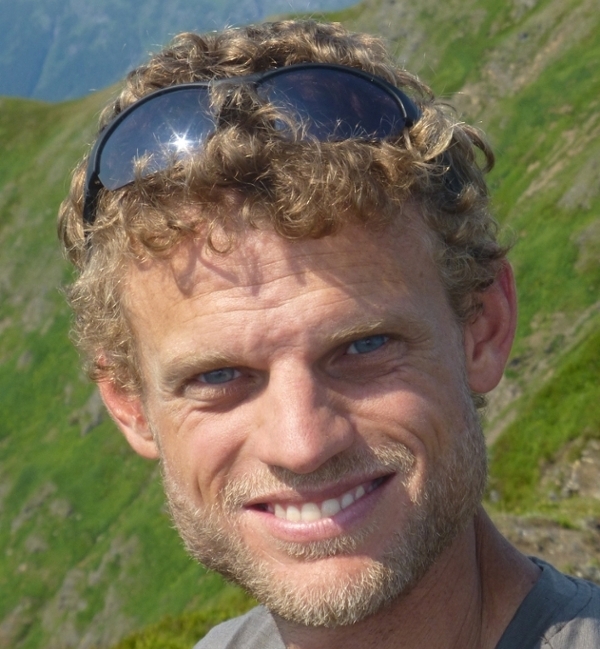 Students at UAS are uniquely positioned to monitor and document the rapid warming, deglaciation, and ecosystem changes occuring across the Circumpolar North. The Bachelor of Science in Environmental Science draws from a range of disciplines including biology, chemistry, forestry, glaciology, natural resource economics, physics, and spatial analysis. What if you found yourself here, at the University of Alaska Southeast? 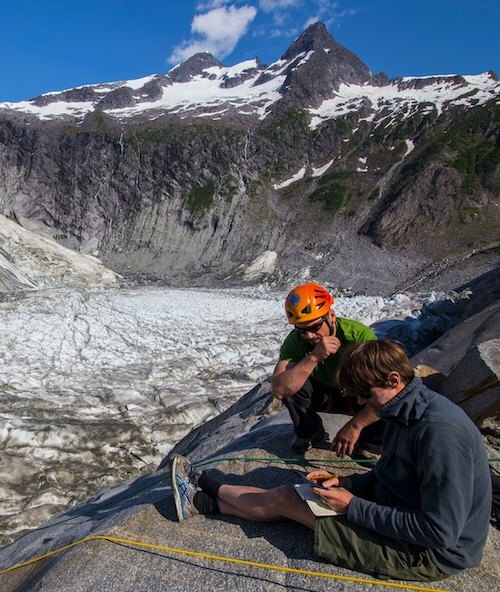 The nearby Juneau Icefield is a natural laboratory for these undergraduate environmental science students. In the Icefield to Estuary Project, UAS Assistant Professor of Geology Sonia Nagorski collects data to compare the amount of iron in glacial-fed rivers vs. wetland streams as part of the Experimental Program to Stimulate Competitive Research. Iron is an abundant and important ocean nutrient for organisms that make up our diverse Southeast Alaska ecosystem. The study provides a unique opportunity for undergraduates to engage in research in a variety of environments. A Wilderness as Vast as Your Curiosity. UAS is absolutely unique; a public university y surrounded by the largest national forest in the United States. As a Natural Sciences undergraduate at the University of Alaska Southeast, you’ll do research in the forest, on glaciers and along the coast. A few miles from UAS, the Mendenhall, Eagle, Herbert, and Lemon Creek glaciers all provide gateways to the Juneau Icefield - the fifth largest in North America. At the forefront of climate change research, Environmental Science students are making mass balance measurements and studying the impacts of shrinking glaciers on nearby watersheds. Students also have the opportunity to apply for the Juneau Icefield Research Program, an eight-week annual summer field research expedition that crosses the icefield from Alaska to British Columbia. UAS hosts the Spatial Ecosystems Analysis Lab (SEALAB), a technical research and educational facility specializing in geospatial analysis. In addition to ecosystem analysis and modeling in Southeast Alaska's glacier-rainforest-coastal complex, SEALAB supports undergraduate students in research and training. Projects include measuring climate induced shifts in salmon phenology, assessing the sensitivity of Alaska's coastal rainforest ecosystem to changes in glacial runoff, analysis of changes of treeline distribution and productivity, and establishing baseline data of brown bear distribution in rapidly deglaciating landscapes. The Alaska Coastal Rainforest Center focuses on the Pacific coast temperate rainforest, stretching from Oregon to southcentral Alaska. Home to tens of thousands of people who depend on natural resources and tourism, this region is characterized by intricate geology, cultural history, and complex linkages across ecosystems. The Center builds partnerships and catalyzes ecological, economic, and social research to support vibrant and resilient communities and ecosystems. Projects include ocean acidification monitoring, icefield to ocean ecosystem interactions along the Gulf of Alaska, carbon and nutrient cycling, stream discharge, snow cover, and soil moisture modeling, and yellow-cedar ecology. In addition to recreation, faculty and students use Eaglecrest to study avalanche dynamics and have developed operational snowpack stability and avalanche forecasting models. The environmental science program maintains a research station at the summit, monitoring weather conditions and providing real-time information on snow conditions for skiers, boarders, and patrollers. Outdoor studies students takes advantage of the easily accessible backcountry terrain for courses in backcountry skiing and snowboarding, avalanche I and II, and mountaineering. "Every semester I've been exposed to a new concept or idea that has fundamentally changed the way I see and interact with the environment around me." My background is in environmental geochemistry, and my research has focused primarily on a variety of contaminants in aquatic systems. I teach classes on Earth's geologic history, physical geology, natural hazards, geomorphology, and mineral and energy resources and environmental impacts. At UAS I devote my efforts to training and inspiring undergraduates to work creatively and effectively in the environmental sciences, preparing them for meaningful careers that benefit the Earth and society.